A woman living in the Midwestern town of Sparta, Illinois, is suing several companies, including pump, milling, technology, and equipment enterprises that she claims are responsible for her mesothelioma. Along with her husband, the woman filed the complaint in the St. Clair County Circuit Court alleging that between 1978 and 1993, she was exposed to asbestos while working with or around products that she says were manufactured by the defendants. The plaintiff also claimed that she was exposed to asbestos, secondarily, via contact with her father and uncles, who were exposed to asbestos while working as laborers at the milling company. Although the people with the heaviest exposure to asbestos are those who work directly with asbestos and asbestos-containing products, or around asbestos, the American Cancer Society says family members of asbestos workers can be exposed to high levels of asbestos, because the fibers can be carried home on workers’ clothing, and can then be inhaled by others in the home. According to The Madison County Record, in the suit, the plaintiffs allege that the defendants were negligent in causing the victims mesothelioma, because they “failed to provide any or adequate warnings, to persons working with or around the products, of the dangers of inhaling, ingesting or otherwise absorbing the asbestos fibers contained in them.” The plaintiffs also claimed negligence based on the companies’ use of asbestos in products when adequate substitutes were readily available. If you have been exposed to asbestos in the workplace, at home or any other environment, see your doctor right away. Even brief exposures could lead to disease. In fact, the Occupational Safety and Health Administration (OSHA) says there is no "safe" level of exposure for any type of asbestos fiber, citing asbestos exposures as short in duration as a few days that caused mesothelioma. And when it comes to the workplace, the OSHA says every occupational exposure to asbestos can cause disease. 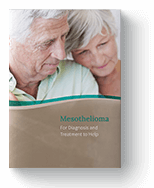 Common symptoms of mesothelioma include cough, chest pain, shortness of breath, and weight loss. However, even if you do not have symptoms, see your doctor right away. Although is no cure for mesothelioma, early detection offers the best treatment options—options that could extend life. "Asbestos and Cancer Risk." American Cancer Society. American Cancer Society, Inc., 2018. Web. 25 Jan. 2018. Fernandez, Noddy A. “Sparta Woman Alleges Asbestos Exposure Caused Mesothelioma Diagnosis.” MadisonRecord.com, The Madison County Record, 23 Jan. 2018. Web 25 Jan. 2018.